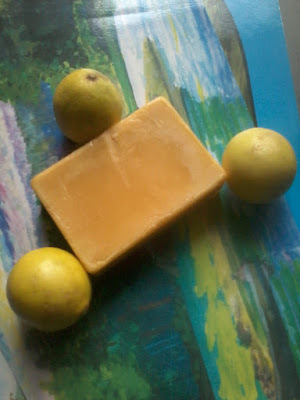 Today I am going to review one more product from Amara Organix , its Lemon Sugar Scrub Soap . Recently I have reviewed two more products from Amara Organix , their Body wash and Body Butter . Amara Organix prepares its products from natural ingredients with out using any chemicals . This Lemon Sugar Scrub soap is made form organic sugar , lemon oil , jojoba oil etc . Has a nice lemony fragrance . This soap is yellow in colour with one side smooth and other side scrub . It forms good lather and cleanses the skin without making it dry . The scrub side is good to remove all dirt from skin . 1.Made from natural ingredients . 3.Has a nice lemony fragrance . 4.Does not makes the skin too dry . Availability might be an issue as its available only on online stores . 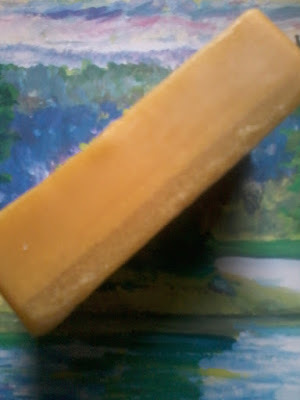 I am using this soap past few days and I really liked it , specially its fragrance . Made me feel fresh after using it . 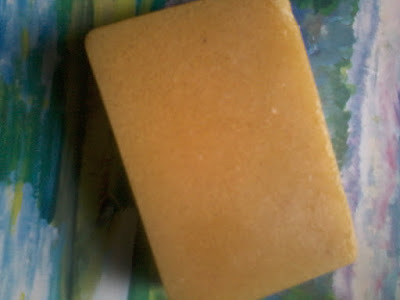 And another thing which I liked is its scrub part which is usually not seen in other soaps , the scrub part can be used to clean elbows , knee area and is quite effective . So this soap is a Must Try one .